If a social conversation turns to the history of navigation – a turn that is not so unusual as once it was – the most likely episode to be mentioned is the search for a longitude method in the 18th century and the story of John Harrison. The extraordinary success of the book by Dava Sobel has popularised a view of Harrison as a doughty and virtuous fighter, unfairly disadvantaged by the scientific establishment; they failed to recognise, in the words of her title, “a lone genius who solved the greatest scientific problem of his time.” Does a broader history of navigation justify the common assent to this account, reinforced through film and television (not to mention BAFTA awards)? 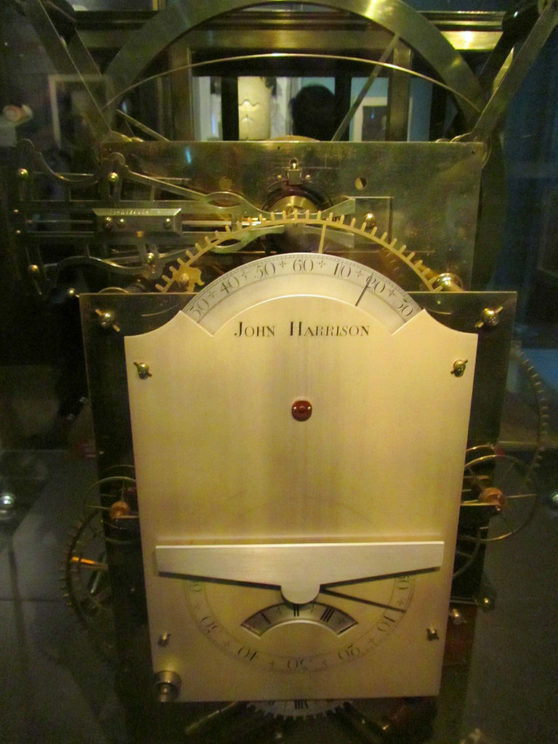 When Harrison arrived in London in the 1730s with ambitions to build a successful longitude timepiece, he was supported and encouraged by Fellows of the Royal Society, who occasioned the very first meeting of the Board of Longitude (formed some 20 years previously), at which a clock presented by Harrison was the only item of business. He requested, and was granted, the very considerable sum of £500 to work on a second timepiece, to be finished in two years (the annual salary of the Astronomer Royal was £100). This was the first of a series of grants that had amounted to £4,000 by the time Harrison announced in 1760 that his third timepiece was ready for testing. It had taken 19 years to complete and the Board were, not unreasonably, becoming doubtful whether this was the route to a practical solution to the problem. To say that such a sum was inadequate is to ignore completely the simple fact that this was the 18th century, long before the accepted notion of government grants for research and development, but this is just one example of where a historian becomes frustrated with the popular narrative. In the event, Harrison asked for a fourth timepiece – quite unlike the first three – to be given the statutory test of keeping time on a voyage to the West Indies. Many difficulties and arguments had to be overcome before a satisfactory test was completed in 1764, when everyone agreed that ‘the watch’ had kept time within the limits required for the maximum award of £20,000. It was now that the Board’s difficulties began in earnest. Faced with the real prospect of parting with their major award, they needed to know that the longitude problem really had been solved – anything less would have been a very public failure to fulfilling their central responsibility. The original Act of Parliament of 1714 offered the reward for a method that was ‘Practicable and Useful at Sea’, while stipulating that the test was to be a single voyage. The Board were troubled over whether these two criteria were compatible, and such doubts were being aired in the popular press. Was the legislation itself inadequate? So far the Board had not been given a detailed account of the watch’s manufacture and operation, and they wanted to know what principles or manufacturing procedures had resulted in its outstanding performance. Could these be explained and communicated to other makers? Could such watches be manufactured in numbers, in a reasonable time, at a reasonable cost, by moderately competent makers? Might the success of Harrison’s watch have been a matter of chance in a single instance? Had it depended on the achievement of a wholly exceptional, individual talent? All of these considerations were relevant to the question of a ‘practicable and useful’ method, notwithstanding the recent performance of the watch. Harrison’s third timekeeper H3 by Bin im Garten. CC-BY-SA-3.0 via Wikimedia Commons. The Board decided to separate the components of the legislation by granting Harrison half the full reward, once he had explained the watch and its operation, while retaining the other half until it could be proved that watches of this type could go into routine production. Harrison did ‘discover’ his watch, as it was said (that is, literally, he removed the cover and explained its working), and so was granted £10,000, but gave up on the Board and appealed to Parliament and the King for the remainder. In many ways the Board were left, as they had feared, without a practical solution. Harrison’s watch did not go into regular production. He had shown that a timepiece could keep time as required, but the design of the successful marine chronometer, as it emerged towards the end of the century, was quite different from his work. Other makers, in France for example, had been making independent advances, and two English makers, John Arnold and Thomas Earnshaw, brought the chronometer to a manageable and successful format. It is difficult to claim without important qualification that Harrison solved the longitude problem in a practical sense. In the broad sweep of the history of navigation, Harrison was not a major contributor. The Harrison story seems to attract challenge and controversy. The longitude exhibition at the National Maritime Museum in 2014 was an attempt to offer a more balanced account than has been in vogue recently. The Astronomer Royal Nevil Maskelyne, for example, has been maligned without justification. A recent article in The Horological Journal takes a contrary view and offers ‘An Antidote to John Harrison’, and we seem set for another round of disputation. From a historian’s point of view, one of the casualties of the enthusiasm of recent years has been an appreciation of the context of the whole affair, while a degree of partisanship has obscured the legitimate positions of many of the characters involved. There is a much richer and more interesting story to be written than the one-dimensional tale of virtue and villainy. Featured image credit: Pocket watch time of Sand by annca. Public domain via Pixabay. Jim Bennett is a historian of science who has held curatorial posts in national museums in London and in university museums in Cambridge and Oxford, where he was Director of the Museum of the History of Science. He has been President of the British Society for the History of Science and of the Scientific Instrument Commission of the International Union of History and Philosophy of Science. He is currently President of the Hakluyt Society. His books include The Divided Circle: a History of Instruments for Astronomy, Navigation, and Surveying (Phaidon-Christie's, 1987), and London's Leonardo: the life and work of Robert Hooke (OUP, 2003), with Michael Cooper, Michael Hunter, and Lisa Jardine. 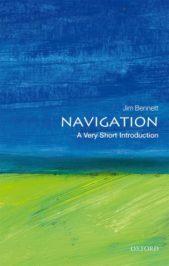 He is also the author of Navigation: A Very Short Introduction.